NYCC 18: Marvel teases War of the Realms from the team who created Jane Foster Thor – AiPT! A new Thor and Avengers-centric event is coming from Jason Aaron. 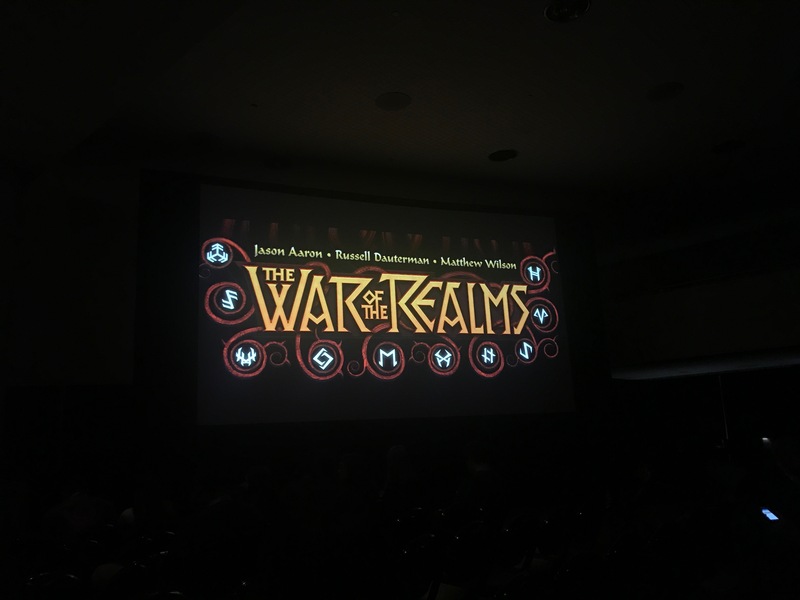 Following a slew of reveals and teases of upcoming Marvel series, Marvel capped of their Next Big Thing panel by revealing the title and logo of Jason Aaron, Russell Dauterman, and Matthew Wilson’s upcoming 2019 event series War of the Realms. According to Aaron, War of the Realms has been a story he’s built up for over 6 years across multiple titles including Thor and The Avengers. Marvel Executive Editor Tom Brevoort went on to promise the “sword and sorcery Marvel epic of your dreams,” and even said that nearly every Marvel Universe character would appear in this series- including Jane Foster. No further details were revealed about War of the Realms, but the title will release some time in 2019.